Today was pretty sad. All days are sad when I'm homeless, but lately with the holiday they seem extra sad. The few beautiful attractive girls I see in a day do little more than remind me that I'm not only single, but have noone really to share my life with. Seeing groups of friends meet and laugh reminds me I have no friends to play stuff with really. And while I suppose I could o to shops like I did on game day, the only people who frequent those shops are half my age, leaving me feeing awkward in such places. Tonight I begin waiting for my system. With just about 1.5 weeks left for people to order stuff online in time to get it by Xmas I still don't know if I'll try for a system as soon as possible or if I'll wait. But from midnight on tonight I should have enough in my account to get my system, should the come in. Over the past few days to a week I've not seen any, so I may have no choice at all. It might actually be for the best to wait two more weeks until I get my next paycheck. If I did get one before that I'd be drained so low I'd have to be extremely careful what food I bought and couldn't spend any money that wasn't already in the budget. Recovery will be difficult either way. Without donations or extra shift money, it will be several months with no games save for the two I have budgeted. I guess though with all things lately, all I can count on is right now. Nothing I've planned for my life, really ever I think, has worked out like I thought it would. It seems all I can do to try to be the happiest is to live in the moment and never count on any future. Today doesn't feel right. For a few days now I've felt off, like I'm missing a couple of days. It's a very strange feeling. I feel extra confused, like I'm in the wrong place all the time, and like I'm actually asleep or something. Today is exciting, but sad. I started checking for the PlayStation 4 when I got to the coffee shop at 7. Every half hour or so I'd check the search again. Finally, around 2, they showed up as in stock. I decided to wait a bit and see if they stuck around. After 5 minutes they still showed an unknown number in stock. I decided to get one. It's been years since I got myself something big for Xmas. So I decided it would be something nice. I'm pretty excited, yet at the same time, sad. Sad because I may have taken a system from someone who would have given it to a little one. (Though they showed as in stock for 45 minutes, so I'm sure quite a few sold total.) But more so sad because I know that, unless things change, this system too will spend most of its life in storage. I will only be able to enjoy it in small doses, and not as much as I otherwise could if I were not homeless. Well, I guess I can hope things change. Maybe this year an Xmas miracle will happen. Today seemed sad. I talked with a friend about my life. He hadn't asked if anything had gotten better in a while, but it hasn't (in terms of school or a job.) I was telling him how it seems like nothing I've done for school has mattered to job people, and the jobs I'm finding are either too low skilled, or too high (like they want a masters and several years of experience.) I know some people get hired and progress in their job on their own, but I guess I've never been good at that. I don't know if I'll ever find anything without anyone offering to help me find my way again. Ever since I was little I was always the one picked last, or not picked. Just once it would be nice to be picked first, and wanted on the team. Today was another sad day, though I suppose it was as happy as it could have been. 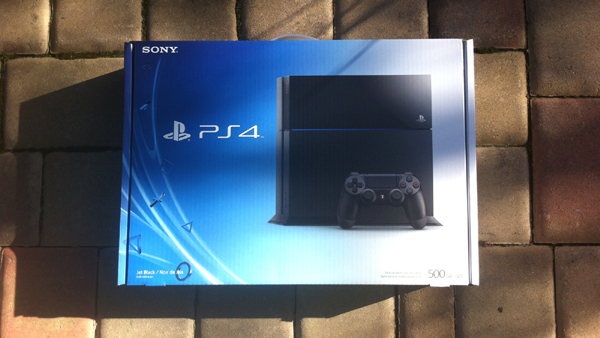 I noticed my PlayStation 4 was still sitting across the bay, about 1 hour drive from me. It arrived at 5:30 PM yesterday. I called to see if I could just go pick it up instead of waiting until Monday. Unfortunately that facility is closed on the weekend, so that wasn't an option. The rest of the day passed ok enough I suppose. I played my games and chatted with a few people online. I was sad though most of the day. More and more there are people celebrating the holidays. More and more shows and commercials are reminding us about them. I suppose I'm sad because of that. We grow up having certain expectations. What we should do at certain times, how we should live, how we should feel, and what traditions we hold have certain meanings and ways we go about doing them. But ever since my divorce about 15 years ago now, all these expectations really just seem to be leading me to disappointment. While there are some things I can change and accept in a new form, some are just so deeply rooted they won't ever change. Starting when you are very young you associate Xmas time with lights, decorated trees, presents, stockings by the fire, and most of all holiday magic; that indescribable happy thing which will no doubt come in a form that surprises you and makes you happy. When you are young it is surprise and wonder at what's under the tree. When you are older it may come from something you don't expect. But something always happens every year if you are open to it. But I have none of that. What I hope for, what I expect to be there for me can't be there. For me there will be no holiday magic. Today I don't feel hungry for dinner. Half way through it just seemed bland and tasteless. I know it wasn't the soup, it was me. I am excited for my system to arrive tomorrow, but I can't help compare it to the time before. Before when I got home I hooked the system up to my big TV and surround sound stereo. I was so excited at the resolution and sound. I had a couple of games to play and I had a lot of fun with them. I even had my first Blu-ray movie to watch, as one was included. (The PlayStation 3 was one of the first Blu-ray players on the market, and far better than the others in its price range.) It was a whole day of excitement and fun that continued for weeks after. The days following I still played, and I could see it every time I walked around my room, knowing it was there ready to be played with or used to watch movies. Tomorrow that will not be the same. I will take the system out of its box. I will put the essentials in a travel bag. I'll have a few hours to get it set up at the coffee shop and get my downloadable game I want. I may or may not play it again at work. And then it will go right back into its box. And I likely won't have anything worth bringing it out for again for months. I won't be able to just pick it up and play whenever. I won't be able to play demos of other things. I won't be able to see it as I move around during my day. Much like the rest of my life it will be forced into hiding in shadow, only allowed out a few times. Today was both super happy and super sad. I camped the delivery driver in the morning and got my system when I expected. I had thought that it was so small it might actually fit into the space in my backpack. (It's maybe 2/3 the length of my laptop, but maybe 50% thicker.) I was right, it fit. But getting the cables, plugs, and accessories was a tight fit. Sadly the update took forever. I'd forgotten it had a patch it needed. or some reason the connection today was dragging at around 5% it's normal speed. It took about 3 hours to get something which normally would have been about 10 minutes. I thought I'd set everything up right and played my downloadable game for about an hour. I discovered after that no trophies showed up that were new, nor did the video I told it to share appear. So I'll have to sort those things out. Maybe I didn't quite set it up right. But the day ended in sadness. Before work I took the system and monitor back to ex-storage. (My game is only available to those with a subscription, so it wouldn't work offline.) I got to spend just a few hours with my system and now it will be resting in storage for who knows how many months before I feel the risk is worth bringing it out again at the coffee shop or my games that I'd be interested in renting show up at the rental box. I guess I should have just waited to get it. But then, like everything else while homeless, wait or not I have no idea how long it will be until things can change. Today I guess I feel ok-ish. This morning when I was walking around it smelt like burning plastic or like a car engine had blown out. (Even before I'd gotten to my car, so it's not my car.) I'm not sure what's up with that, as I still smelt it even after getting to the coffee shop, miles from where my day started. Maybe I'm getting a cold and it's just my nose not smelling correctly. I miss my console. I want to spend more time setting it up and getting it set up to stream stuff for people. I really do think I'd be happiest doing my game stuff and streaming stuff for people to watch every few days. Hopefully I can get into a position to do that someday, but it seems the more time that passes in life the more I'm forced to move away from the things I enjoy doing the most. I try to continue to be hopeful, but the reality seems to be I may never get a chance to be free and happy. PlayStation 4, gone into storage too soon. Today I've sort of been in pain all day. Ever since some time last night my right middle finger has been having that jammed up feeling in the last joint. Again. It doesn't seem like it was that long ago this last happened. It was, in fact, bothering me so much I decided to try and go for a fast, more painful short-term route, and tried to lance it with a push-pin off the coffee shop bulletin board. (I ran it under hot water for a bit to try and sterilize it.) That was way too painful though and it only pierced the top layer of skin, nowhere near deep enough to lance the yuck that is undoubtedly there again. I don't know why this happened again. Maybe something is messed up inside. I did have something that was not right where I trimmed it. Maybe whatever that was didn't trim right and some went back under the skin infected it. Today started out pretty happy, but became very sad. I had decided today would be a day I set up my system for a bit and try out streaming. I got it set up easily enough, figured out what I did wrong last time, and got ready to stream. When the time came I started the stream up, and everything seemed to go smoothly. I stopped the stream and packed everything up safe and sound. When I got online to check on my laptop it looked like a few people had stopped in to watch. But I didn't see my video anywhere to save for people to watch. I waited and waited. And a few hours later it still wasn't anywhere and I saw a notice that said it's not automatically saved and you had to set a certain thing a certain way. I got extremely sad and felt on the verge of tears at the test stream not working out and not being able to be saved. It wasn't so much the loss of the test, but the loss of me. There was no evidence anything had happened. Besides those who happen to have watched live online, noone will know I was there or what I did. It reflected upon my life as a whole. To everyone who did not see me right then, I was invisible. I did not exist. I guess it doesn't matter. It was only a test. And I can't regularly stream. I'll probably try again on Monday. But like everything else in my life it feels like I've lost a part of myself forever, and I have to hide in shadow and wait until I can try again. And I'll never know if I mattered then, or if people will notice when I'm back again. Today I'm worried about my money. I put myself super short getting the console. I shouldn't have put myself so short. But then, the other day, I forgot and got something not on my budget. Normally it wouldn't have been a big deal, but now... I don't know if I'll have enough for food and gas. Looking at what's left I'll have to not get hot chocolate for most of the week, and get some lunch meat for lunches and eat very carefully measured amounts. It will be like the days years ago where I'm living meal to meal and carefully measuring out all my food and money. I don't think I'll make it, and I've got nothing to fall back on. Dad will hopefully have sent some Xmas money and I'll get it soon. But he sent nothing for Thanksgiving, not even an e-card, so I may get nothing. If a donation comes up that would help too, but outside of my friends, I can't remember the last time I got a donation, probably 6 or more months. Hopefully I'll be ok, but it seems I can never stop worrying. Today I've had to start living small on food. I had my last hot chocolate in the morning for a while. I got lunch stuff, so I'll only be spending 50-75% on each lunch, and I'll get a bit cheaper dinners, though their price isn't as flexible. Hopefully I can make it until I'm paid or money from dad or other unknown donations arrive. It will be a tight next few days. Today was pretty sad. I'm feeling unappreciated on the forums and in my games. People are not being friendly, supportive, or nice towards me. Being in the coffee shop in a time where everyone seems to have somewhere to go and people to see does little but remind me how alone I am. I know there are some out there who do wish me well, but it is hard to see and remember that. And I'm feeling very worried too. Noone has yet answered the calls for help and I'm down to about $15. That has to cover all my food for Monday, Tuesday, Wednesday, and possibly Thursday. And, I'm down to 1/8th of a tank of gas, so it may need to cover that as well. Hopefully everyone out there is doing well and not suffering my trials. While I know I'll be fine again once I'm paid, all I can think of are sad thoughts and lonely times. Thinking to the future where I'm ok again, and maybe even happy, and surrounded by people who care about me on holidays like this... seem like just an Xmas wish. Today was sad and stressful, and in the early evening became even more so. Not only do I have my usual stress of late worrying if I'll have enough money for food and gas, and all the sad things in my life, I can't pay for a hot chocolate while at the coffee shop to pay for my time there, but now I've lost income. To tell the story we have to back up to late September. My dumb boss sent out the schedule for the rest of the year. I immediately replied back, as there were no days off for Thanksgiving, Xmas, or New Years. I wouldn't mind working, but we've never been open before. In previous years there would always be time off. In recent years those days have been getting shorter, but they were never zero. Just before Thanksgiving we were finally told what days off there would be. There would be Thursday off for Thanksgiving and that's it for that weekend, and the year end time would be December 21 through January 1st. So, for months now that's what's been in my budget. Today, a third of the way through the time off, she sends a 'reminder email' that we are closed from the 21st to the 5th. Um what?!?! Now, not only am I losing most of the paycheck, but those four extra days we are closed means I now have zero income for that time period. I swear if there were someone on my side in management I'd try to get her fired for incompetence. It's not just this. The alarms at both gyms have been partly broken for years now, both ice machines are broken, one of which was new and started being broken within weeks of being installed, and it's been more than two years since she's actually dropped off the time cards. (Legal documents which are supposed to be signed.) So that's pretty infuriating, as that's over $100 that's gone. Now, while my budget will be just about normal after I'm paid, it will be very tight, with almost zero flexibility at all. The day didn't really start off that well either. I am living my life like I did in the early days. I had to shave in a fast food place. My only shower since Friday was wiping myself with a towel. When I went to get food in the evening I had to count all my money and calculate what number of meals said food item could provide and try to maximize my chances for having enough to last until I'm paid. I guess the only real happy things were that I finished editing my podcast to put that up early tomorrow, the coffee shop will be open during the Xmas holidays, and I had a strong enough connection to mostly play my games. Hopefully everyone out there is having a good Xmas eve and not worrying about the sad bunny life. Happy Xmas time to all the peoples.